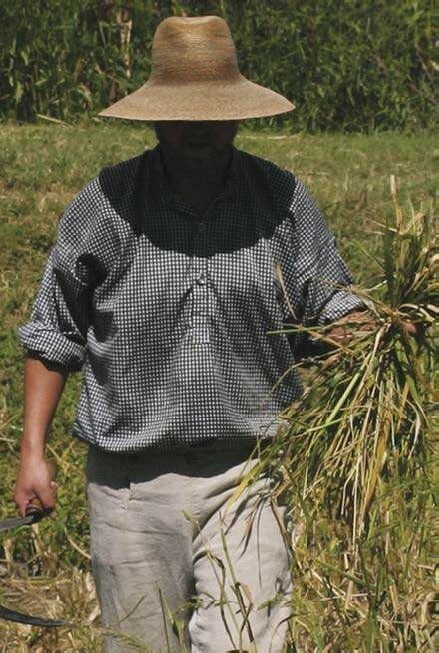 You can hand-harvest mature rice with a sickle. Perhaps you’ve heard that your chickens’ ideal diet is roughly 1⁄3 greens, 1⁄3 bugs and 1⁄3 grains. The latter is more than covered if you buy bags of chicken feed, which is largely made of grains such as wheat, barley, oats and corn. Obviously, we can’t grow grains cheaper than an agribusiness or even a local farm can. But for most of us, saving money is not why we raise chickens. Admit it. We like to geek out a bit on raising our pets with benefits. 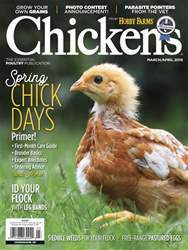 Because most of us hen-keepers are also gardeners, why not say “to heck with efficiency” and geek out a little more? Let’s grow some grains for our chickens. Perhaps try some unusual ones such as rice, millet, rye, sorghum, sesame and buckwheat. But why stop there when we can also treat our birds to ancient grains such as amaranth, quinoa, spelt, farro and einkorn?